Pair of masked dancers performing at Hooper Bay in 1946. 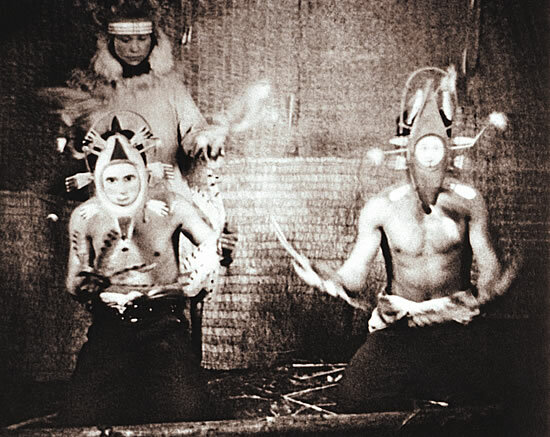 The final winter ceremony--Agayuyaraq (way of requesting or praying for abundance)--involved singing songs of supplication to the animals' yuit (their persons), accompanied by masked dances performed under the shaman's direction. Men created ritually powerful masks through which the animals' yuit and shamans' spirit helpers revealed themselves as simultaneously dangerous and helpful. 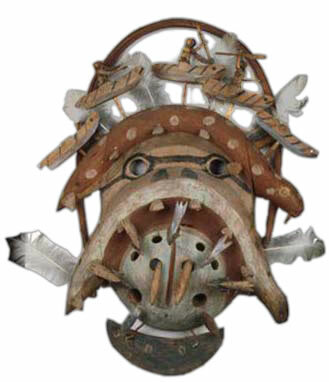 Used in enactments of past spiritual encounters, the masks had the power to evoke such encounters in the future. 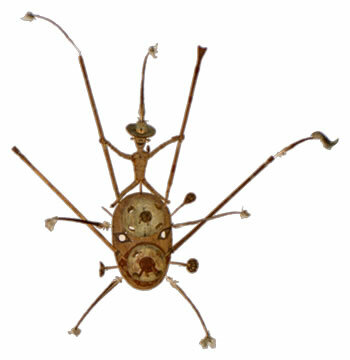 Mask collected from Qissunaq in 1905 by Tununak trader I. A. Lee. Toggle harpoon points are appended to the lower face, over which two seal figures arch, topped by hunters in kayaks. Mask collected from Qissunaq. The large knobs may represent seal breathing holes, as a walrus and a seal emerge from them. The grass figure on top wears a European style hat. 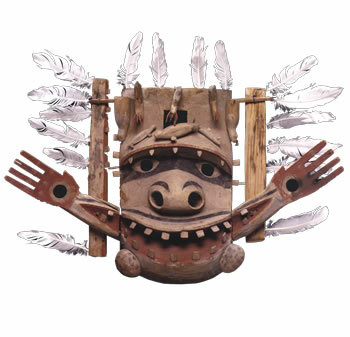 Kegginaquq/Mask said to represent a tuunraq, a shaman's helping spirit, used in dances to request future abundance, symbolized by the carved creatures on the mask's forehead. 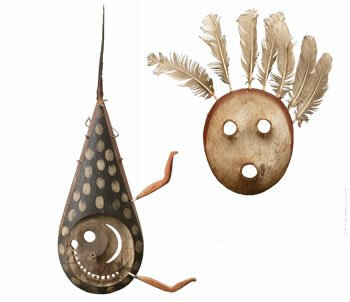 Kegginaquk/Pair of masks from Pastuliq, each embodying the unique verse of a dance song.